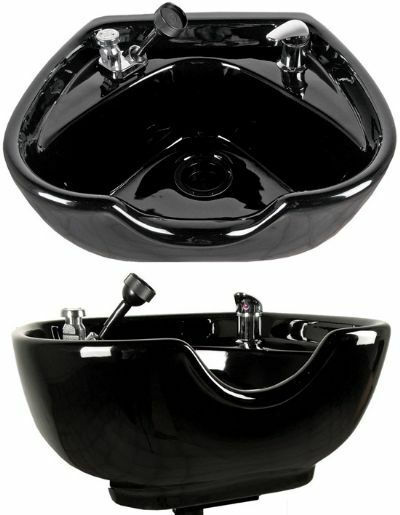 The CB81 Heart-shaped porcelain sidewash shampoo bowl is a premium bowl that will last 20 years if not abused. The CB81 includes #570 single handle faucet, spray hose, vacuum breaker, drain assembly, hair strainer, & mounting bracket. Black or White. Measures 23"W x 20"D x 10"H. Bowl does not tilt. Complies with ANSI Z124.3 and CSA B45.0 & B45.5.